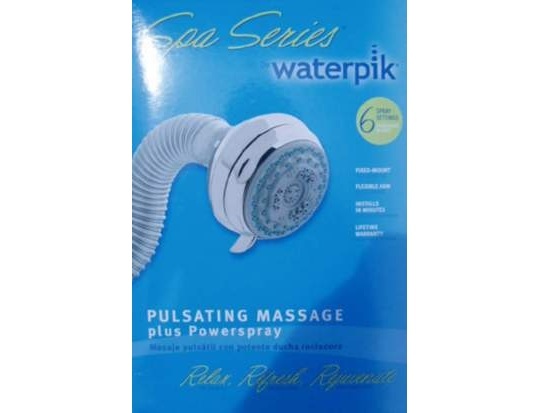 The 'Spa Series' flexible arm pulsating massage showerhead from Waterpik. Features 6 spray settings. 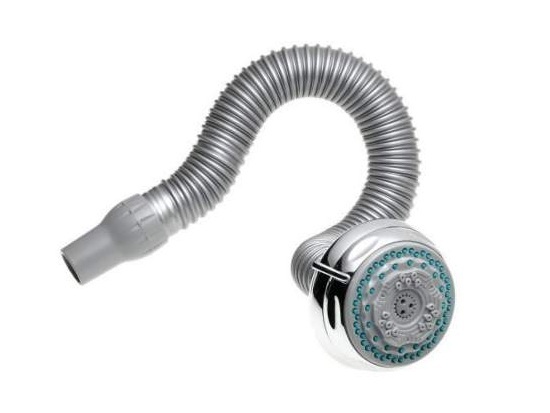 The unique flexible arm on the Waterpik Shower head allows you to raise and lower the shower head while showering. Perfect no matter if you're tall, short or in-between. 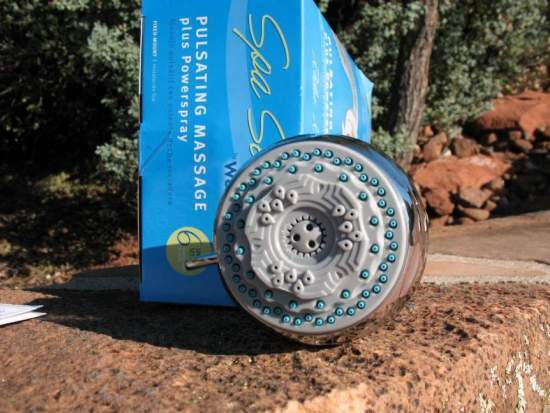 Anti-clog jets are great for hard water areas, simply rub your fingers acruss them to clean. Lifetime warrantly offering directly from Waterpik. The flow rate is 2.5 gpm @ 80 psi if the flow restrictor is left in.